Medium golden wine with magnificent and unique aroma and opulent, concentrated and full bodied taste. Wine of medium gold colour. Aroma represents honeyed, oaky, flowery, tropical fruit bouquet that is magnificent and unique. 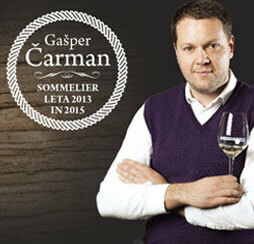 On the palate is rich, opulent, concentrated and full-bodied. 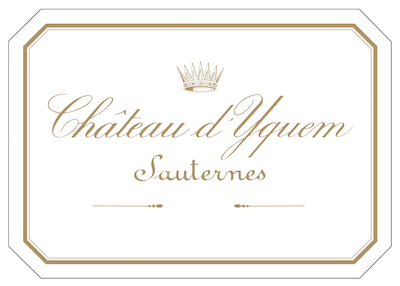 The history of Château d’Yquem is like a novel, an epic saga full of events and colourful personalities spanning more than four centuries. Château d’Yquem was almost English. During the Middle Ages, in fact, the estate belonged to the King of England, who was also Duke of Aquitaine at the time. In 1453, southwest France was once again brought under the dominion of the French crown by Charles VII and has stayed French ever since. A century and a half later, in 1593, a descendent of a local noble family, Jacques Sauvage, was given feudal tenure over Yquem. The Gironde department archives, as well as those of the château, show that special winegrowing practices and late harvesting already existed at this time. A few years later, the Sauvage family built the château and patiently set about constituting the present-day vineyard, plot by plot. The family became full owners of Yquem in 1711, during the reign of Louis XIV (by which time they had received noble status). In 1785, Françoise Joséphine de Sauvage d’Yquem married Count Louis Amédée de Lur-Saluces. Three years later, in 1788, the count died after a riding accident. His young widow thus became the head of the family and showed extraordinary acumen in managing the estate. The wine was already much appreciated by famous connoisseurs of the period, such as Thomas Jefferson. A staunch opponent of the excesses of the French Revolution who was thrown into prison on two occasions, Françoise Joséphine managed to hold on to the family property and make Yquem prosper. She built a new wine cellar in 1826 with her steward Garos – an audacious step at the time – transforming the estate into a true business and developing its international reputation. It was during her time as head of Yquem that the method of picking in several passes was perfected.